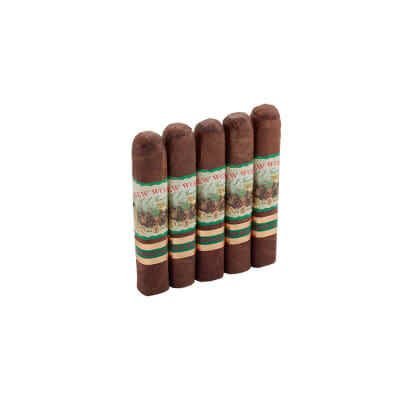 Aspira Robusto premium cigars in an economical bundle presentation. 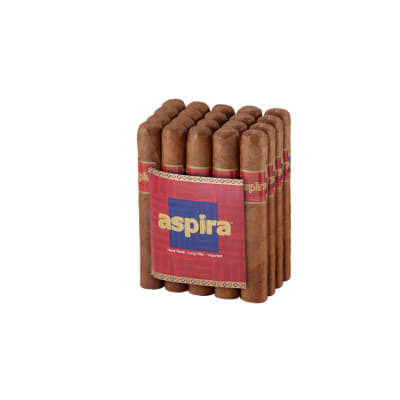 Aspira cigars are medium to full-bodied cigars made exclusively for Famous Smoke Shop by master blender, Nestor Plasencia. 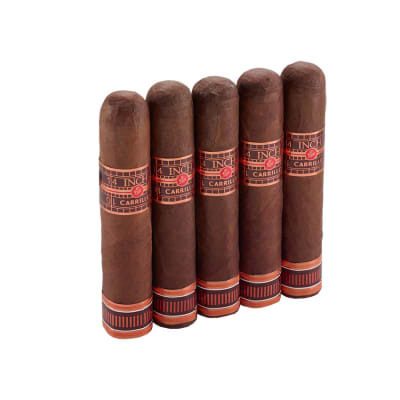 Each cigar has a rich-tasting blend of Honduran and Nicaraguan tobaccos that dovetail with a dark, spicy H2000 wrapper for a smooth and hearty smoke. If you love robust flavor and want a great value, Aspira cigars are a smart pick, and will improve well with age in your humidor. 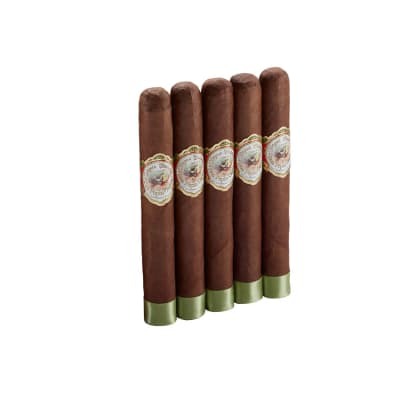 Aspira Robusto 5 Pk premium cigars in an economical bundle presentation. Aspira cigars are medium to full-bodied cigars made exclusively for Famous Smoke Shop by master blender, Nestor Plasencia. 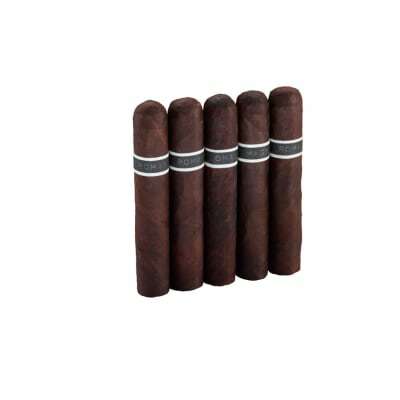 Each cigar has a rich-tasting blend of Honduran and Nicaraguan tobaccos that dovetail with a dark, spicy H2000 wrapper for a smooth and hearty smoke. If you love robust flavor and want a great value, Aspira cigars are a smart pick, and will improve well with age in your humidor. This one has great flavor at any price so it s a steal here. Nice, not too strong everyday smoke. Will be buying more for my econo humidor. Very mild earthly taste, has a tendency to burn a little hot mid to end of smoke.